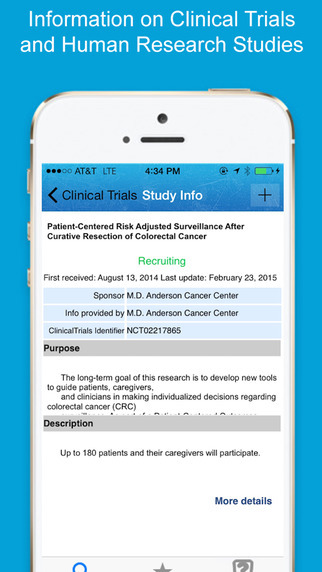 iPhone/iPad App offers an easy-to-use interface on your mobile as well as iPad to search federal and privately supported clinical trials conducted in the United States and around the world. 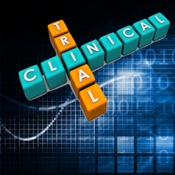 Obtain information including a trial's purpose, who may participate, locations, and phone numbers for more details about clinical trials being conducted throughout the United States and in many countries throughout the world. * Find the Latest Studies for you. 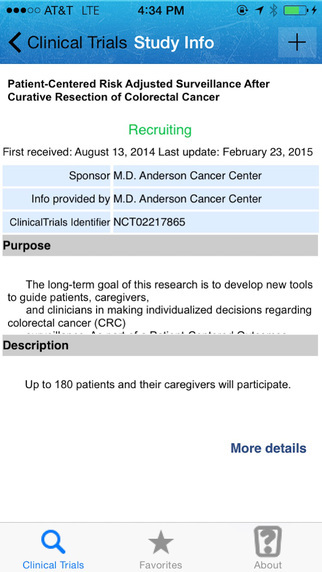 * Get notified of new clinical trials near you. This App does not Provide Medical Advice. The information contained in this app is not a substitute for medical advice or treatment, and we recommend consultation with your doctor or health care professional. iHVLLC may revise and update these Terms and Conditions at any time. Your continued usage of the app will mean you accept those changes.